Wendy started work as a Cartographical Draughtswoman, after a season at Gatwick Airport in a Passenger Services role she realised that she enjoyed working with people. For many years she worked in Recruitment and Training and joined East Surrey College in 1996. 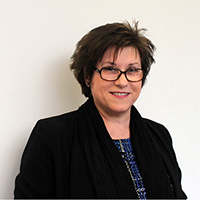 During her time at the College she has also worked as an Assessor and IQA in Business and Customer Service. As a Business Account Manager she is able to support businesses with their training needs and offer support and guidance when recruiting new Apprentices. Her particular strength lies with the services sector where staff performance is key to business operation, profitability and growth.